You know they’re out there, but do your potential customers have any idea about your company and what it offers? Valpak of Western Washington can change that by introducing your business to neighborhoods across the region. Our multi-channel marketing campaigns will take your brand’s message to neighborhoods you select, from Olympia to Renton and Gig Harbor to Maple Valley. Find out how our Blue Envelope of coupons can make your ad dollars more cost effective. 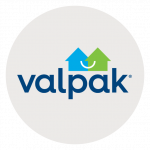 Test, target, review and refine – Valpak of Western Washington empowers you to reach the most promising neighborhoods in a variety of direct mail formats and refine your approach when needed – so your company’s message doesn’t fall on disinterested doorsteps month after month.